The picturesque canals of Amsterdam have long attracted filmmakers and now the city will feature on the small screen as well, as the American soap opera The Bold and the Beautiful films in the Dutch capital. Having filmed abroad in locations from Australia to Paris, Dubai to Mexico, this will be the first time —after 25 years on the air—that the show comes to the Netherlands. And this is no small thing to the show’s committed fan base. The soap opera has been enormously popular in the Netherlands since it first premiered in 1989. According to Marije Onderwaater, a communication adviser with RTL 8, the show has an ‘above average’ market share for a daytime show, and has a very steady fan base, for which RTL makes it almost impossible to miss an episode. The show airs daily on RTL 8 (first run), RTL 4 (second run) and RTL Lounge (preview). It’s also possible to watch on RTL XL. For Vreeman, being hooked on The Bold and the Beautiful is hereditary. ‘My mother was a fan when I was younger, so I would watch with her,’ she says. ‘As did my grandmother. She watches every day.’ Vreeman admits she also visits YouTube.com to look up earlier episodes or even later ones that broadcast in the US before being available here. According to eight-time Emmy Award-winning executive producer and head writer, Bradley Bell, the Dutch-based action takes place over seven episodes. ‘We are very excited about showcasing the beauty of Amsterdam during our shoot,’ Bell says. Cast members Ashleigh Brewer (Ivy Forrester), Darin Brooks (Wyatt Spencer), Scott Clifton (Liam Spencer) and Kim Matula (Hope Logan Spencer) are all here to film the Amsterdam scenes. According to Bell, the storyline will involve an unnamed couple that ‘finds love while another is falling apart,’ but Dutch fans roaming the canal belt looking to get a glimpse of the filming may not want to look too closely, as the episodes, which will air next month in the US, will not be shown here until sometime next year. 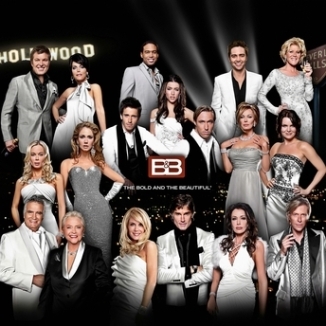 But for fans needing their fix: in addition to those stars coming to film, cast members John McCook (Eric Forrester), Heather Tom (Katie Logan) and Hunter Tylo (Taylor Hayes) will appear in The Bold and the Beautiful Live! stage show at Theater Vredenburg Leidsche Rijn in Utrecht on Saturday.